If you want to have a website that ranks high in various search engines, you have to make sure that you have real brand authority. The theory is that growing brand recognition leads to greater traffic, which leads to greater brand recognition and so on. It sounds simple, but actually doing it an be quite complicated. 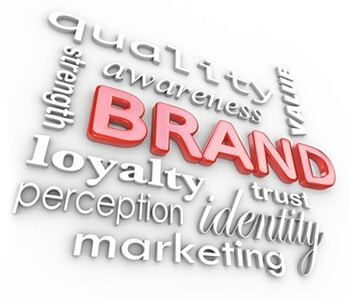 Let’s take a look at some of the things you can do in order to build your own brand awareness. First of all, you have to make sure you have a website that is full of useful information. Your site has to be up to date and relevant to those who see it. This means you have to inspire, because you want to make sure that people understand the identity of your brand through your posts. Make sure that you answer all comments and link to your social media as well. Also, never underestimate the power of guest posts, both in terms of letting people write on your website, and in the terms of blogging on other peoples websites yourself. You cannot be anybody anymore without a strong social networking presence. It may seem like a bit much to have Facebook, Twitter and Google+, since it looks like you would have to do everything three times, but that is not actually the case. You can link your site to each of the three social media sites (and others) and automatically share your posts. You do, however, need to be active and make sure you reply to comments and Tweets. Using such platforms as Google Adwords can be rewarding if done properly. Set some goals for yourself and decide what keywords and audience you want to target. Noran El-Shinnawy of Search Engine Watch wrote a great article on the 5 step plan to increase brand awareness. In it she goes more indepth on using adwords to increase your brand awareness by being creative and experimenting with your ads for best results. There are various other things you can do. YouTube is one of them. Why not video a customer experience or interview one of your employees for instance? Using video to explain more about your brand image is incredibly powerful. Similarly, infographics work really well. You do, however, have to make sure you have strong and attractive content in these infographics. It is too easy to get this wrong and most would actually recommend it if you know exactly what you are doing. One other thing you could consider is to organize an event, conference or webinar. This is more complicated and can be costly as well. It means you have to come up with some sort of message that you believe others should be aware of. You have to have the right speakers on board to actually do this right as well. Furthermore, it is likely that you will have to charge for these events, because it will be very difficult to see a return on investment. However, it is a great way to make people more aware of your brand. It cannot be stressed enough how important it is to have a brand that people believe in and know they can trust. It is by doing this that you will attract a greater amount of customers which in turn builds your brand.